This form can be used as a quiz or a center work activity. There are two different approaches taken here. 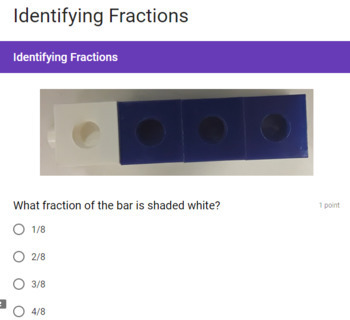 One has students looking at an image and identifying the equivalent fraction to a specific color that they see. The second part has a description that students have to build a rod that matches.